Some important concepts about insurance can be confusing to the average consumer, especially with marine insurance–the least regulated field of the insurance industry. Marine insurance differs significantly from other forms, such as homeowners and auto insurance. Other forms are standardized within a given state; every marine policy can differ more substantially from others in important ways. Provided below is valuable information on understanding, evaluating, and buying marine insurance from any company or through any agency or broker. Agreed-value coverage pays valid claims for damage to your boat based on the declared/agreed value of the vessel on the declarations page of the policy without regard for depreciation. If you insure your vessel for $50,000, and it sinks during the declared policy period while insured at that agreed amount, the policy pays you $50,000, even if the boat is only worth $35,000 at the time of the loss due to depreciation. You declare the value on the policy, and that's the coverage you have. However, one thing to keep in mind is that many agreed-value policies pay for partial losses, repairs, and the loss of certain items, such as outboard motors, on a depreciated, actual-cash-value basis. Most small-boat policies offered by Strickland Marine either come with agreed-value coverage on outboard motors by default for a certain number of years or have an option to add this coverage. Generally speaking, once outboard motors are beyond a certain age in years, virtually no company will insure them at agreed value. Don’t assume. Your policy is your contract. Always discuss this in detail with your agent, and read your policy. Replacement-cost coverage is a tricky term because some people use the term in reference to what is more accurately defined as agreed-value coverage. Make sure you understand what an agent means when he or she uses the term “replacement cost”; make sure he or she isn't really referring to agreed-value coverage. The true and technical definition of replacement-cost coverage is actually quite different from agreed value. Replacement-cost coverage pays the actual cost to replace your lost property with like kind. It is the most expensive type of coverage, often prohibitively expensive or not cost effective. We offer replacement-cost coverage on certain policies and with certain carriers, but we usually recommend agreed-value coverage as the best cost-versus-benefit solution. Actual-cash-value (ACV) coverage pays for claims on a depreciated basis. Claims are paid based on the actual value of the damaged property at the time of the loss. If you insure your boat for $50,000, and the depreciated value of the vessel at the time of a total loss is only $35,000, the policy pays $35,000, regardless of the amount declared on the policy and despite the fact that your PREMIUM was partially based on that $50,000 declaration. When a policy is referred to as ACV, Agreed Value, or Replacement Cost, the terms typically refer only to how the policy will cover the HULL in a total loss. Partial losses and losses to certain items are often STILL covered as ACV on many Agreed Value and Replacement Cost policies, so be sure to know what you are getting. Conversely, on some ACV policies, partial losses are paid on a replacement-cost basis. In some cases, ACV is the only kind of coverage available for a given risk, depending on age, location, etc. Sometimes, ACV is the only affordable option for a given boat owner. However, whenever possible, we prefer to avoid ACV policies and prefer agreed value. Again, remember, items such as canvasses, tops, sails, outboard motors, and certain other items are often covered on an ACV basis on “agreed-value” and “replacement-cost” polices, unless otherwise endorsed or stipulated. Always read your policy thoroughly. Since outboard motors are generally costly, we offer a number of policies that provide agreed-value or replacement-cost coverage for outboard motors, specifically, for boats powered solely by outboards, but make sure you know what you are getting regardless of where you buy your insurance. Don't find out that you have inferior coverage when it's too late. Make sure you insure your property and liability correctly now, and avoid unwanted surprises. The term "liability coverage", as commonly used, can actually refer to more than one form of coverage, but in general, it pays for legal expenses to defend you from lawsuits arising from the operation of your vessel; it also pays for covered financial damages awarded by the courts to a plaintiff in such cases where a court holds you legally liable. In the case of P&I coverage, but not Watercraft Liability, it also pays for the expenses of wreck removal, oil spillage, and other things named within the P&I policy. There are some exclusions and important differences in the types of liability insurance, of which you should be aware. The exact coverage provided under any policy will be written within the policy jacket. Read carefully, as various coverage items are commonly provided within one section of a given insurance policy but excluded in another section of the same policy–or vice-versa. Though the terms are often used loosely, interchangeably, and incorrectly--and are often referred to collectively as "liability coverage"--Watercraft Liability and P&I (Protection and Indemnity) are actually two very different forms coverage. P&I typically covers things that Watercraft Liability does not. It's important to be aware that some watercraft/marine insurance policies provide a lesser form of liability coverage. Most customers are not aware of the difference. The exact liability-type coverages provided under any policy will be written within the policy jacket and may amount to a collective net coverage that is somewhere in between true Watercraft Liability and P&I in any given case, so again, always read your policy carefully and discuss with your agent, but below are the primary forms of liability coverage involved in marine insurance. Make sure you know whether you are getting Watercraft Liability or P&I coverage. The difference between them is significant and should be reflected in the premium. Policies may vary, but generally, Watercraft Liability generally covers bodily injury and property damage to others. It does NOT cover bodily injury to YOU, a family member, or an operator of your vessel. If you receive a quote that says "Liability" instead of P&I, confirm whether or not you are being quoted Watercraft Liability or true P&I--the latter of which is discussed below. Some “watercraft-liability” policies add some components of P&I, such as wreck removal, but omit others. Policies may vary, but generally, P&I covers everything that Watercraft Liability covers PLUS the following: liability to captain and crew (where Jones-Act coverage is endorsed), oil spill, wreck removal, liability for negligence in maintenance. Be aware of how far offshore your policy covers you. Some policies are inland only. Inland rates are typically lower than coastal rates. Coastal policies generally allow use in saltwater while inland policies are typically limited to “inland lakes and rivers” and often limit navigation to freshwater. Some coastal policies limit navigation to 5, 10, 25, 50, 75, or 100 miles offshore. Most of our coastal-navigation policies have either no offshore limit or an excessively large one (i.e., 150-250 miles, etc. ), but depending on the vessel, the company, the policy type (charter/personal), and some other factors, we also offer policies for inland navigation and limited offshore mileage. It depends on the needs and the vessel, so no matter where you shop for insurance, make sure that you tell your agent how far offshore you will navigate, and be SURE what your limits are. "Inland navigation" normally refers to operation of a vessel inland of the freshwater demarcation line. However, on some policies, "Inland Navigation" can also refer to saltwater harbors, lakes, and rivers. The latter is the exception, not the rule. "Coastal navigation" normally refers to operation of a vessel in saltwater within, along, and outside of the coastline. It normally includes offshore navigation, but be sure to check what your offshore mileage limits are and/or if there are any on your policy. Be very careful here. Some companies provide marine insurance policies with NO COVERAGE for windstorms. This is often overlooked by customers: they do not even know that they don't have coverage for damage caused by the effects of wind or windstorms. Some agents do not actively discuss this with their clients. One popular misconception is the idea that a person's homeowner’s insurance will cover his boat for the windstorm as long as the boat is in his garage. That is false. Homeowner’s insurance only covers boats up to 14 feet in length, with up to a 25 HP motor, while in the garage, for up to $5,000. If you insure your $50,000 bay boat with an X-wind policy, and a hurricane destroys it while it's sitting in your garage (or anywhere else), you have NO coverage; you get nothing for your loss. Don't wait until you are caught unaware, and don't let an unknowledgeable agent steer you wrong. This doesn't just apply to small-time agents, either. Some very big-name companies have been selling X-wind boat insurance policies to coastal residents for years via television ads, and some of their customers have no idea that they are one storm away from losing their investment. 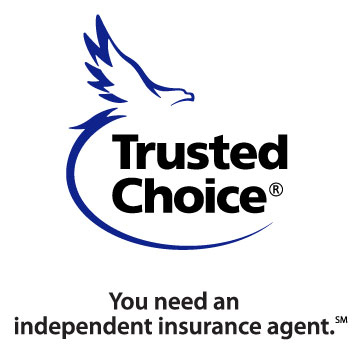 A cute ad slogan with a reptilian mascot is no replacement for the expertise pf a true marine-insurance specialist. Deal with the experts, read your policy, and know your coverage. Most policies exclude mechanical breakdown, but we offer certain policies that include it. We are one of the few agencies who has a charter-boat program with mechanical breakdown coverage. It is available for both small and large charter vessels. Ask about this if you are a charter captain or own a charter boat. A named windstorm is any windstorm that has been given an official name by an official weather service; for example, such storms include, but are not limited to nor-easters, hurricanes, and tropical storms. Some polices from certain carriers carry “named-windstorm deductibles”. A named-windstorm deductible is a separate deductible that applies exclusively to named windstorms, apart from the normal deductible. Normally, the two deductibles do not occur at the same time and do not stack or add to each other. If damage occurs from a named windstorm, the named-windstorm deductible applies, but if it occurs from something unrelated to a named windstorm–including damage from an UN-named windstorm–only the normal deductible applies. Not all policies carry named-windstorm deductibles. We offer policies with and without named-windstorm deductibles. In some geographic areas that are prone to higher hurricane risk, only policies with named-windstorm deductibles may be available at any given time. Several companies began adding a separate named-windstorm deductible after taking huge losses during the most recent hurricanes. They typically range from 5% to 10%. Always read the details on your declarations page. This is the same as the named-windstorm deductible with the exception that there may or may not be a necessity for the windstorm to be officially named by a weather service, depending on the company and the policy. In other words, a “windstorm deductible” is a special deductible that applies, apart from the normal policy deductible, but applies exclusively to windstorms, which may or may not be named storms. This is another reason to use experts and read your policy to know your coverage as well as possible. The Jones Act is another name for the Merchant Marine Act of 1920, which regulates maritime commerce in U.S. Waters. The Jones Act grants rights to “seamen”–which can be any paid captain or crew member–to collect for injuries caused by the negligence of the captain, fellow crewmen, or the owner of the vessel. If you have anyone who might be considered a “seaman” under the Jones Act, such as (but not necessarily limited to) a paid captain or mate, you need Jones Act coverage. The U.S. Supreme Court has defined a “seaman” as being one who spends more than 30 percent of his time in service of a vessel on navigable waters, but the determination in any given case will be up to the courts. If you have anyone who might reasonably be construed by an attorney as an employee of you or the boat, you need to discuss Jones Act coverage with a knowledgeable marine insurance agent. We can discuss the details of this with you and provide necessary coverage. Pleasure boat policies provide coverage for boats that are not involved in commerce. We offer part-time charter coverage on some pleasure-boat policies. Charter coverage is for boats that take passengers for hire, such as fishing boats, guides, dive boats, eco-tours, etc. Pleasure boat policies are not intended to cover vessels that are used for charters unless charter coverage is added. If you have a charter boat, you need charter coverage. Without charter coverage, a pleasure boat policy will deny claims for insureds who perform charters with their vessels, as such is a breach of the policy by the insured. We sell both full-time and part-time charter policies. Let your agent or CSR know if you plan to run even a few charters per year. Some of our carriers allow us to add coverage for occasional charter to the their standard pleasure-boat policies, and the cost difference can be minimal. The term “captain’s coverage” can mean more than one thing because it’s used loosely. If you have a paid captain and/or crew, you have a liability exposure with regard to them in the event that they get hurt on your vessel, and we can cover that exposure on our marine polices. Upon request, we can also offer separate policies for captains who operate vessels that they do not own to cover their own liability exposures arising from their own conduct as a professional captain. Most marine insurance policies include a marginal amount of coverage for towing, if any. Average limits are around $500 and sometimes $1,000. Some of our polices include $5,000 of towing coverage at no additional premium. Keep in mind that towing and salvage are not the same thing and that most marine insurance polices cover salvage, and those with real P&I cover wreck removal, also. Also, keep in mind that towing coverage on a marine policy only applies to being towed on the water, not the road. Marine “salvage” is the act of rescuing a vessel from imminent peril or recovering it after abandonment or loss. Coverage for necessary salvage costs pertaining to the insured’s vessel as a result of a covered peril is provided on most marine insurance policies. Most marine polices cover this risk because maritime law requires boaters to help each other on the water. Many marine policies exclude activities like skiing from coverage, and in order to cover this activity, it must be added back to the policy with an endorsement or be otherwise stipulated as covered without being excluded. As with other perils and options, we offer some policies that cover skiing, and some others that do not. If you ever intend to pull skiers; make sure you have the proper coverage. Inform your CSR or agent about any skiing activity that you intend to do. Parasailing is normally excluded from coverage; however, we offer commercial policies to cover this activity for parasail operators. Whether pleasure or commercial, boat and yacht policies typically only cover liability for incidents directly involving the VESSEL. Incidents that occur on docks, beaches, or otherwise not onboard the vessel, are not covered, unless specified in the policy or endorsed. If you operate a business, there are many other liability exposures that remain UNCOVERED by a marine policy. We encourage you to explore the full range of your liability exposures and will be assist you. We can provide coverage for these additional commercial exposures by providing a Commercial General Liability policy. Contrary to popular misconceptions, umbrella policies do not cover over everything. They often contain exclusions and/or require an underlying amount of liability insurance for any given exposure. A common exclusion is liability for watercraft. We can offer umbrella policies and provide high limits of liability coverage on your marine policy. If you have an existing umbrella policy, speak to your agent to make sure it covers over watercraft and to determine the underlying limit. We will be happy to help. Owners and operators of marinas, boat dealerships, repair facilities, boat clubs, and other organizations often operate clients’ boats in the course of business operations. Commercial General Liability policies do NOT cover this without marine P&I coverage added. MOLL covers the liability exposure related to a business that may be deemed by a court to have taken legal care, custody, or control of someone else’s boat. This coverage is important for boat and yacht dealers, marinas, and some repair facilities and mechanics (and similar operations). We offer MOLL coverage to applicable commercial customers. Some general-lines agents incorrectly attempt to cover this exposure for commercial marine clients by binding Garage-Keepers’ Liability Coverage, which is similar to forcing a square peg into a round hole. GKLL is for auto dealers and auto mechanics, not marinas and boat dealers. However, there are some companies that will endorse coverages similar to MOLL onto their GKLL policies. Be very careful here if you own a marine business. Mysterious disappearance, freezing, thawing, improper winterizing, racing, skiing (on certain policies), intentional acts causing loss, losses associated with boats under contracts not disclosed to the insurance company, and wear and tear are generally excluded. Failure to operate, moor, and maintain the boat in a reasonable and responsible manner. Failure to uphold your responsibilities set forth in any given policy. Admitting fault or otherwise undermining the defense case of your insurance company in a liability claim where you are the defendant. Who or what determines the actual coverages, exclusions, insured’s responsibilities, and other provisions for your specific policy or risk? Actual coverages, exclusions, endorsements, and definitions vary per policy. We offer policies from dozens of companies, each of which have varying coerages and options. It would be virtually impossible to accurately describe all actual or specific policy provisions for all companies, policies, and customers. This web page is only a general guide on how various policy provisions and terminology are commonly applied in the marine-insurance industry, but it is not a representation of any specific coverage, requirement, warranty, representation, provision, exclusion, inclusion, endorsement, option, or other obligation or stipulation (collectively referred to herein as “Provisions”) regarding your specific risk or insurance policy; any and all Provisions are established only by an active insurance policy. The respective insurance company for any given policy applies the policy Provisions per that company’s interpretation of its policy language in conjunction with (1) your input about the loss, (2) the reviews and determinations of its adjusters and surveyors (the latter of which are generally subcontracted), (3) information provided by plaintiffs if you are being sued for liability, and (4) laws, regulations, case law, or court orders. As your active agent, we work hard to help process and expedite claims with the various carriers to our ability, based on the leverage we have by having long-term relationships and a large volume of business with each carrier. Making fans of our customers is our goal.